Are you running workloads in AWS? Then you know that to effectively identify and address threats requires a cloud security strategy that accounts for shared responsibility. But how do you truly keep tabs on what is “going on” in your environment? Over the next 14 pages, you’ll become a pro at understanding these three elements. 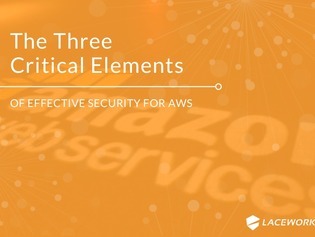 And as a result, managing responsibilities for AWS accounts will become easier.